Home » Technology » Why is Blockchain a good solution for KYC verification? Why is Blockchain a good solution for KYC verification? Blockchain technology has started coming out of the dark shadows cast by cryptocurrency and is now being utilized for far noble causes these days. Although several platforms that are now being launched with the help of blockchain technology still have the feature of cryptocurrency, the extent of their usage has been highly diluted. Most of the time, they are either used to raise capital for a blockchain based venture or to perform in-app payments. Even in that case, AML compliance solutions are utilized to ensure the overall transparency of the ICO process or to vet the credentials of the users that are investing into the said cryptocurrency. Greater acceptability of blockchain based technologies has enabled companies to start using it for different kind of services. KYC verification is also one of those services. KYC basically stands for Know Your Customer. A KYC verification is performed by businesses and companies at the time of customer registration. You might remember, remotely applying for opening a bank account and you were asked to perform facial verification or document verification. That is what a common KYC actually looks like. In some countries, it is mandatory by law to collect important information about clients. In others, businesses conduct KYC verification to avoid online identity thefts and to prevent registering fraudulent customers. How does a KYC verification works? A typical KYC verification can range from a simple collection of personal information to go through a lengthy process carried out with the help of KYC verification software. Several verifications can be needed to perform in order to ascertain crucial aspects of a person’s identity. Facial verification, address verification, document verification, and phone number verification are some of the common aspects that are covered in modern-day identity verification services. Services like Shufti Pro can perform additional verifications as well because of their superior technology. They can verify handwritten notes, proof of consent, customized ID documents and even perform AML Compliance for its customers. 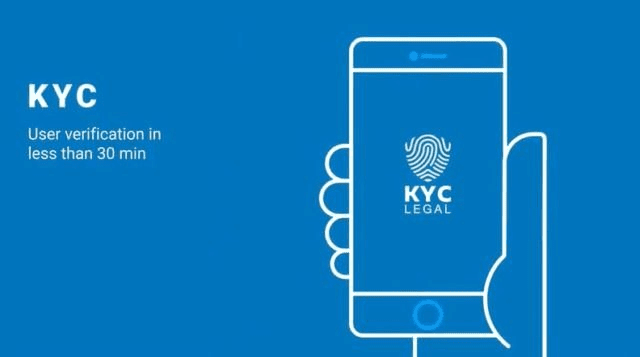 Why KYC verification needs Blockchain? As you can imagine, a service offering KYC verification or online identity verification services to businesses has to collect a large amount of important customer information. But to ensure the safety of such crucial information is also paramount as a data breach of such information can be catastrophic, to put it mildly. Not only the reputation of KYC services provider will be tarnished but the company that has used services from such an identity verification company will also be ruined. Blockchain has the ability to secure such large set of data, with its centralized security and limited access features. As businesses might require the verified credentials of end-users after some time so it is important to save this personal information data in a secure repository such as a blockchain. A KYC verification software integrated with blockchain based data servers is the ultimate tool to safeguard the interest of a business. It helps to fight off fraudulent elements without compromising on the data collected from end-users.